Native American Indian tribes were the first to use the echinacea root for a variety of ailments and, until the 1800's, it was one of their best-kept secrets. Around 1870 a German physician formulated a medicine containing echinacea that became popular in European households. 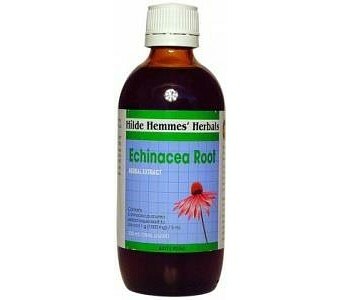 It was not until the 1900's that echinacea gained recognition amongst healers in the west. Today echinacea is recognised as one of the most exciting herbal discoveries for healthy immune function and to assist in the management of upper respiratory tract infections. 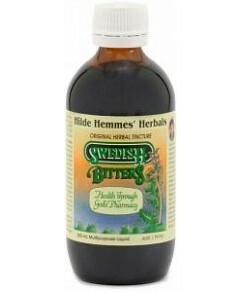 Medicinal Use: As a powerful immuno-stimulant, it helps to maintain a normal, healthy immune system. Taken regularly (especially by athletes) it can not only provide relief of the symptoms of cold and flu, but can also assist in the treatment of flu by reducing the severity and duration of symptoms. Active Ingredients: Each 5 mL contains Echinacea purpurea extract equiv. to dry root 1g (1000 mg). Features / Benefits Contains no artificial colours, preservatives, caffeine, gluten, sugars or lactose. Liquid extracts are rapidly absorbed into the bloodstream. Ideal for people with poor digestion. Mix with your favourite fruit juice or herb tea.